The Čakavian dialects are known for their complex prosodic systems and have long been recognized as an important source of information for the historical reconstruction of Common Slavic accentuation. The study of the interactions of tone, quantity, and stress in the phonology and morphology of these dialects can also shed light on the evolution and behavior of pitch accent systems in general. However, previous scholarship has consisted almost exclusively of descriptions of individual dialects; while these studies typically provide accentual information, these data are often not systematically analyzed or even organized in an accessible manner. 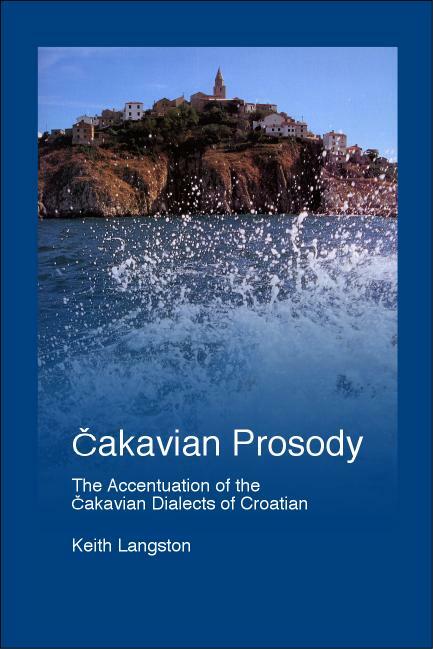 This book offers the first comprehensive treatment of the accentual systems of the Čakavian dialect group as a whole, drawing on data from published descriptions, unpublished materials from the Croatian Dialect Atlas project, and from fieldwork conducted by the author. The analysis, in the framework of autosegmental phonology, is grounded on acoustic phonetic data. In addition to examining phonologically conditioned alternations of stress, quantity, and pitch, this book also considers the role of prosodic features in the morphology of these dialects, providing a thorough analysis of the alternations of accent and quantity that occur in the inflection of nouns, adjectives, and verbs.